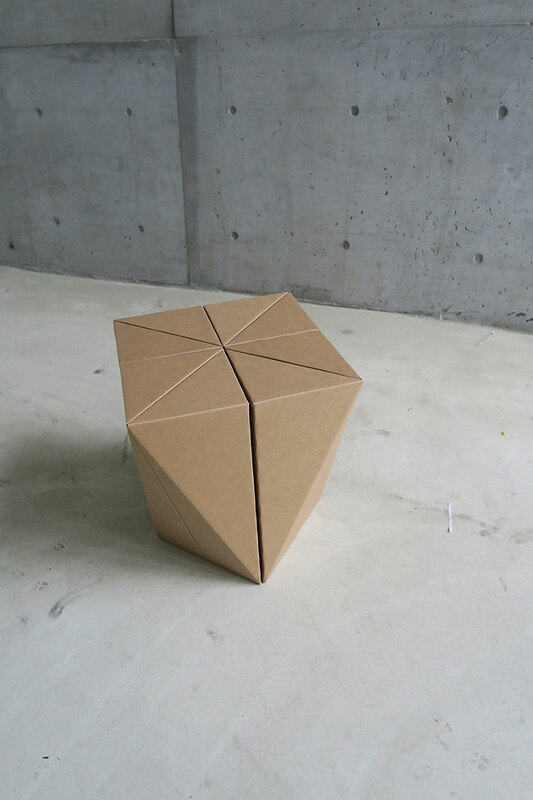 A stool made out of cardboard by Taipei-based design studio MisoSoupDesign. 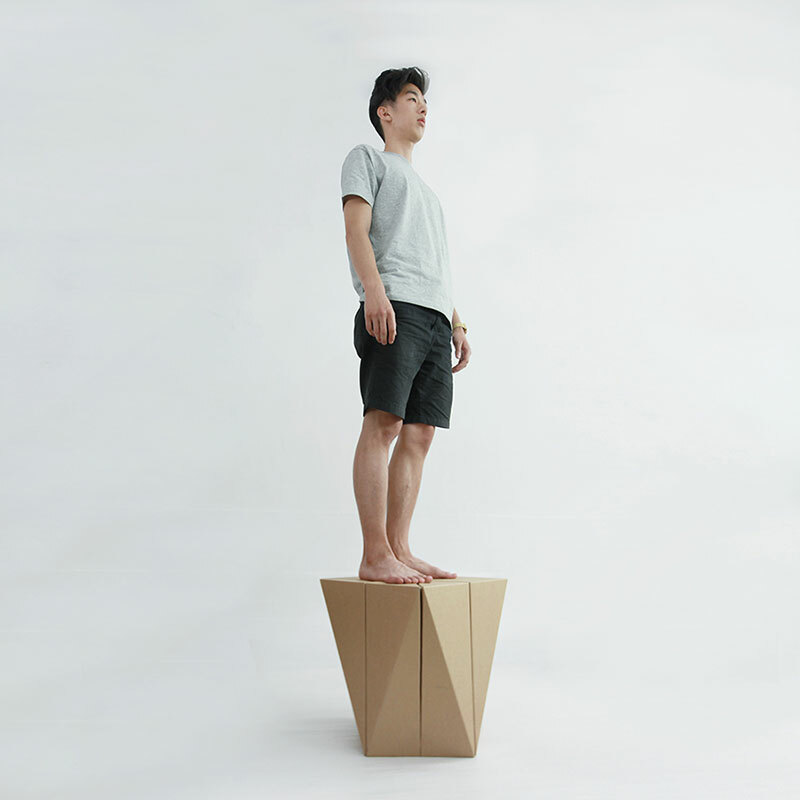 Spiral Stool was developed with the idea of creating a structural module that can be assembled without any glue or hardware and can withstand a maximum weight of 100 kg. 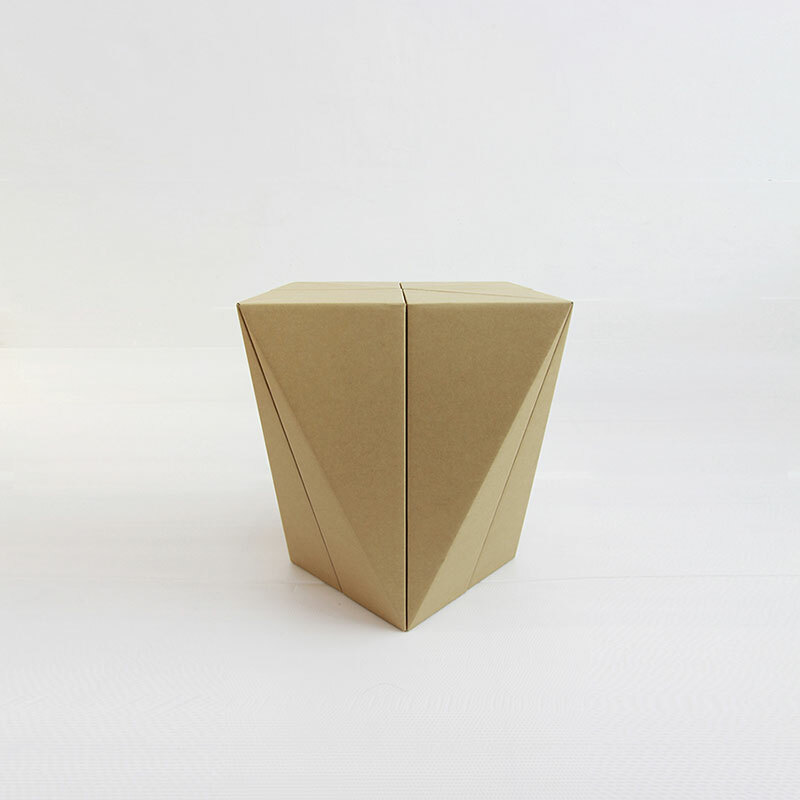 The stool can be unfolded and recycled and is ideal for small spaces or if you just need extra seating for an event. At the fast-changing modern era, life styles are tending to emphasize on both high renewing rate and the sense of beauty, especially in the Eastern world. In response to it, we focused on designing a furniture that meets the modern life style. 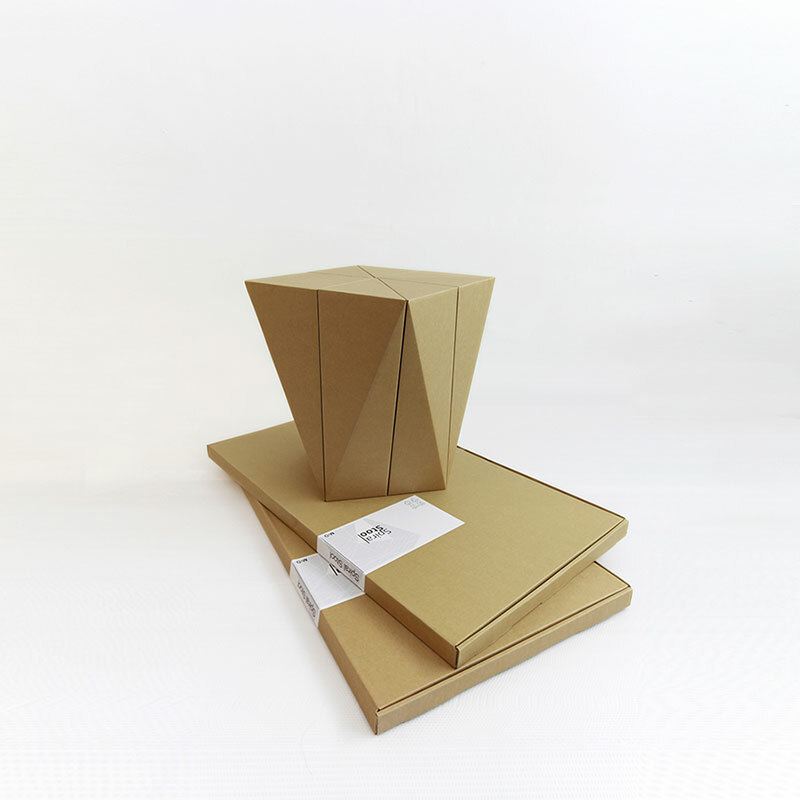 “Spiral Stool” is designed with the idea of creating structural module with only cardboard material, which is recyclable and sustainable. The rotated squares on top and bottom create unique fractal elevation that reflects lights in different angles. Both children and adults can use the Spiral Stool while kids can even paint on it, which can also use as modular units to configure as a low table. Spiral Stool was recently awarded the 2016 Platinum A' Design Award Winner for Furniture, Decorative Items and Homeware Design Category. 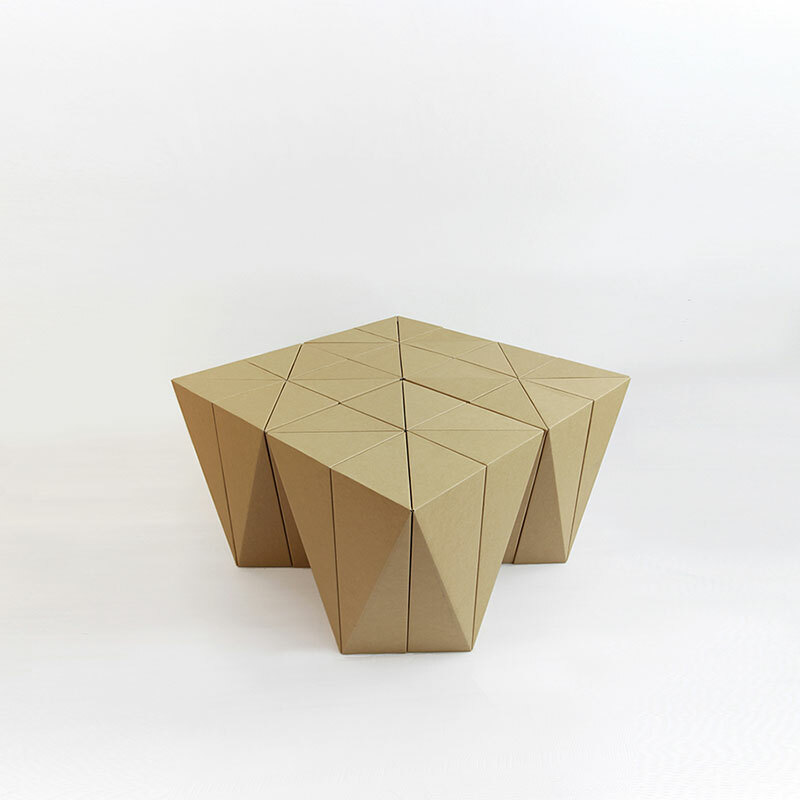 A stool made out of cardboard by Taipei-based design studio MisoSoupDesign.